Carrie Green is the founder and driving force behind The Female Entrepreneur’s Association, an online community with thousands of members and a tremendous reach. She is passionate about empowering women to bring their ideas to life and use them to positively impact their lives. Carrie’s energy, passion, and encouragement have made a huge impact on her audience…and she’s well loved and respected in the online business community. As FEA has grown, Carrie has built a large team of amazing, talented, and dedicated people to support her. These people are absolutely committed to Carrie and her vision for the FEA, and they work virtually to fill multiple roles and responsibilities. As you can imagine, managing a team of this size can create challenges. There’s so much going on – so many initiatives, so many tasks, so many responsibilities – that managing everything can quickly get overwhelming. As the team grew, Carrie stayed in the center of operations, answering questions, guiding each aspect of the work, and continuing to run the business in the same ways – even though the team was changing rapidly. Carrie was overwhelmed, the team was fragmented, and the work was inefficient due to nearly constant crisis situations. When Carrie reached out to me for help, she was having difficulty managing her very large team. Things just weren’t very smooth, and communication was challenging. Even though the team used Slack to share information, it was difficult to keep everyone on the same page. Additionally, the team was managing over 20 initiatives and projects with various timelines, requirements, and demands. The team did not have a clear set of priorities, and as a result were unsure how to best allocate their time and attention. Carrie felt frustrated and overwhelmed. Her dedicated and talented team struggled to stay motivated and do their best work. It was a difficult situation – but one that developed naturally as the FEA grew. Our goals were directly tied to helping Carrie manage profitably. Lessen Carrie’s overwhelm and free her up to do the creative work she loves. 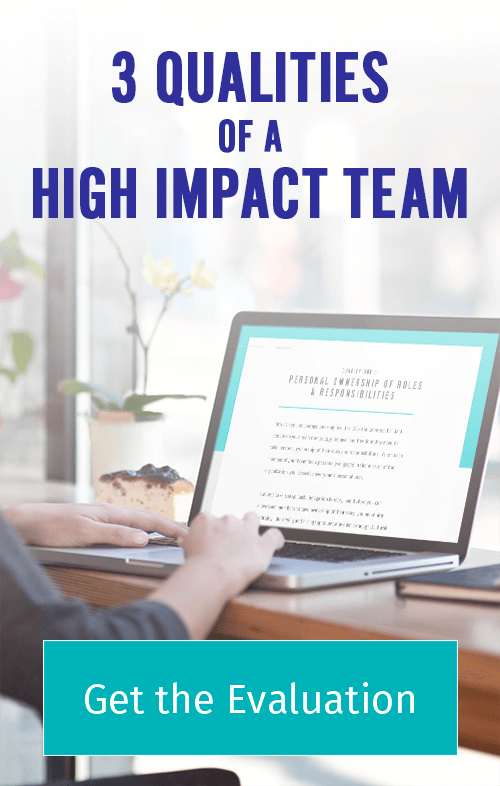 We wanted to make it easy for Carrie to manage her team so she could focus her energy and attention on creating content, setting vision and direction, and growing the FEA. Eliminate crisis situations and stressful “fires” in the business. Rather than spending time reacting to problems and issues, Carrie wanted the freedom to be proactive. Properly utilize the talents and abilities of everyone on the team. Carrie’s team is incredibly talented and passionate, but the lack of systems in her business were keeping the FEA from making the most of each team member’s skills. Unify the team and build productive relationships between team members. We wanted to bring the team together and help them get to know one another so that they could work together rather directly rather than going through Carrie for each collaboration. The solution was implementing a project management system. As I worked with Carrie to understand the challenges her team faced, I quickly realized the root problem was a lack of effective project management. In order for a team (of any size) to work together effectively, someone must coordinate their efforts, facilitate communication, and resolve issues so the work can be completed correctly and on time. Carrie is exceptionally creative and intuitive, and she knows what she wants. As a solopreneur or the leader of a small team, she worked as a “project manager” for each initiative. But, as her team grew she continued in this role rather than delegating it. No wonder she was feeling overwhelmed! We started developing a project management system by having Carrie talk through each initiative currently in process plus those she intended to begin over the next 24 months or so. We needed to get all this information out of Carrie’s head so someone else could take over the project management role in The FEA. We expanded the team to include an experienced project manager, Gayle, and together we transitioned project coordination responsibilities from Carrie to Gayle. We got clear on the roles of each person on Carrie’s team (you should see the FEA org chart! 🙂), the tasks they own and discovered the exact status of each project. We established metrics to help us track progress and determine which projects needed additional resources or attention. The team worked hard to put the initiatives in chronological order, prioritizing those that were more immediate over those with a deadline several months away. Organizing projects in this way allowed members of Carrie’s team to understand the big picture, see what was most important in the moment, and make good decisions about how they allocated their time. A rather painful (old habits are tough to break! ), but necessary step was moving project management from Slack into Asana. Based on the needs of the group, Carrie’s current workflow, and the functions of the tool itself, we decided to use Asana to coordinate our efforts. This gave both Gayle and Carrie a way to monitor progress, coordinate workflows, and make sure each member of the team was working on the right things at the right times. 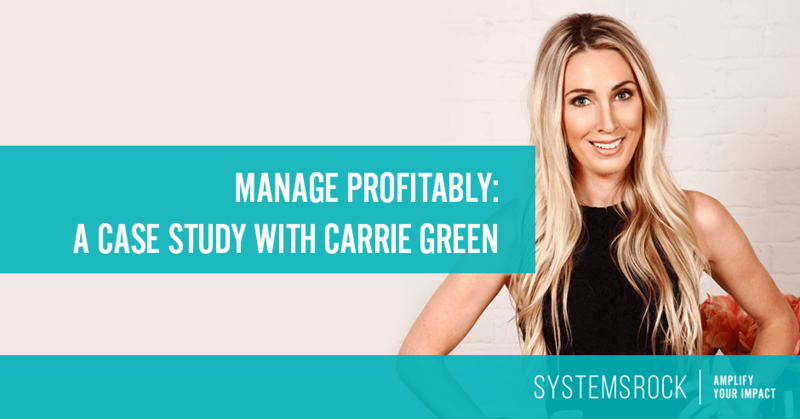 The system we implemented helps Carrie manage profitably. Gayle helped Carrie create a master schedule with the timelines for all the initiatives the team is working to complete. Carrie is now clear on exactly who is working on which aspects of the project, and knows when she needs to work on an aspect or approve something. Gayle sends Carrie a weekly status update on each project, making sure that Carrie knows what’s going on with the team and highlights any issues or challenges the team is facing. In fact, just yesterday Carrie came back from a 10-day road trip in Utah, where except for occasionally checking Slack and answering the most pressing questions, Carrie didn’t work(!!!) In her absence the team made significant progress on 3 projects and started prep work for the end-of-the-year launch. “In the past, every time I needed to go on a trip or take a vacation, I’d always ensure that I had internet connection while I traveled. I would spend most of my free time following up on pending issues, meeting with my team members to give them direction on the projects, or foregoing delegation and doing stuff myself. This time around things were night-and-day different. I knew that Gayle had everything under control. I left light-hearted. I was relaxed and able to truly enjoy my vacation. It was amazing!,” Carrie said. When we first started, the team was scattered and looked to Carrie for everything. Now, the team is unified. Members know who is on the team, what they are responsible for, and how to contact them with a question. People are able to work together to resolve challenges without involving Carrie directly. This frees her up to do more of the creative work she loves. Here’s what one of the key team members of FEA team, Jess Thenhaus, Member’s Club Sales & Marketing Manager, shared with me: “The biggest change I’ve noticed since you came on is a feeling of COMMUNITY and team cohesion that did not exist before. Before there were always a lot of grey areas and uncertainty about things. Decisions that were made in a one on one conversation would not be communicated clearly to the team even though they affected current projects. This left members of the team feeling disheartened. Now, there is a more defined structure for communication and the way things are done. There are also more efficiencies in the processes thanks to you! On a personal note, I can tell that you care deeply about the cohesion of the team. Knowing you are there, holding that space for us – makes me feel like anything is possible. What’s next? Shifting mindset from manager to leader. With the project management system is in place, the tools are available for Carrie to profitably manage her team. We are still implementing some components, and working to get each member of the team trained and comfortable using Asana. We are adjusting a few roles here and there, and monitoring metrics to perfect the system. But things are moving forward quickly. As Carrie’s mindset shifts from managing every aspect of operations to focusing her attention on leading, and as the team adapts to the new project management system, I believe this amazing, dedicated, and talented team will have an incredible impact on their audience and the entire online business community. I’m so grateful to be Carrie’s partner in helping her bring about this transformation.